Thomas Cole. 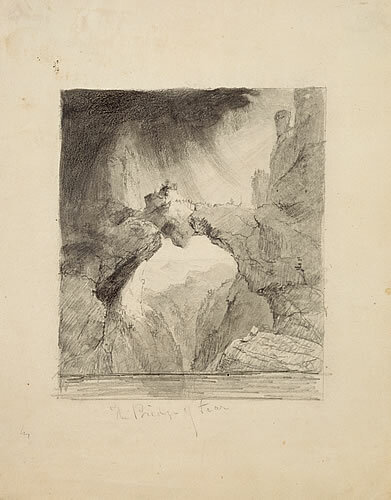 Graphite and black crayon with gray wash on wove paper, c. 1827, 9 5/16 x 7 3/8 in. National Gallery of Art. John Davis Hatch Collection, 1979.20.17.